In order for a probiotic supplement to be effective, it must utilize a delivery form that protects the live, active cultures from a wide array of damaging, ever present environmental factors. Probiotic Pearls accomplish this with a novel encapsulating process, known as True Delivery™ Technology. This triple-layer coating system results in a convenient, one-of-a-kind delivery form that protects the vulnerable probiotics within from heat, moisture, oxygen, and stomach acid. 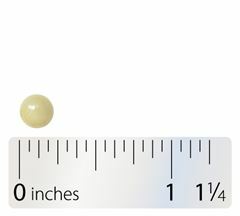 The unique encapsulation also ensures Probiotic Pearls are shelf-stable and require no refrigeration, while maintaining full potency through the lifespan of the product. Why do Probiotic Pearls contain just 1 billion CFU when others contain multiple billion? We have a variety of probiotic supplements in ranges from 1 billion to 100 billion to offer a comprehensive selection of probiotics to suit different needs. Probiotic Pearls offers 1 billion CFU, the general daily recommendation. For higher CFU count probiotics, consider Probiotic Pearls Advantage (5 billion CFU) or Enterogenic Intensive (100 billion CFU multi-strain blend – refrigeration required). Are there any drug or nutrient interactions with probiotic supplements? Caution should be taken whenever recommending, or consuming, nutritional supplements. Use this drug-nutrient interaction checker to view potential interactions with Acidophilus or Bifidobacterium. 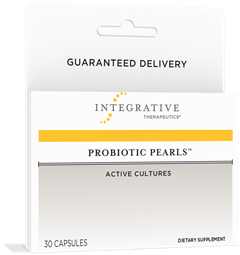 Which products are available with the Probiotic Pearls “True Delivery Technology”? Probiotic Pearls (original): 1 billion CFU blend of Lactobacillus and Bifidobacterium for daily use. Probiotic Pearls Advantage: A 5 billion CFU blend of Lactobacilli (plantarum, acidophilus) and Bifidobacterium (lactis, longum).